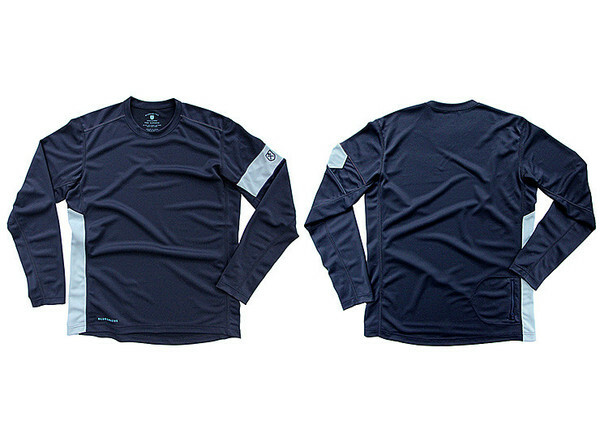 Bluesmiths sent me (quite out of the blue, I might add), one of their Kanaha hydrophobic paddle shirts to try out. I am pictured wearing the Men’s XL. My arm is sticking out because I am showing off the flat stiching on the seams. I usually don’t like underarm seams at all, but the flat stitching on this shirt is awesome. You don’t feel the seams at all. In a nutshell: It’s awesome! The question that people have asked me and that you might ask yourself is “Is this shirt worth $90?” Yes. Yes it is. In fact, I think I’m going to buy myself the short sleeved version. It’s important to me to have gear that fits properly and is manufactured out of the right fabrics to get the job done. Paddling is a weird sport in that it is highly aerobic, so you get hot. You need sun protection, as well, though. There’s the possibility that you’ll fall in, and if you do, you don’t want to stay wet and soggy for the remainder of the paddle. 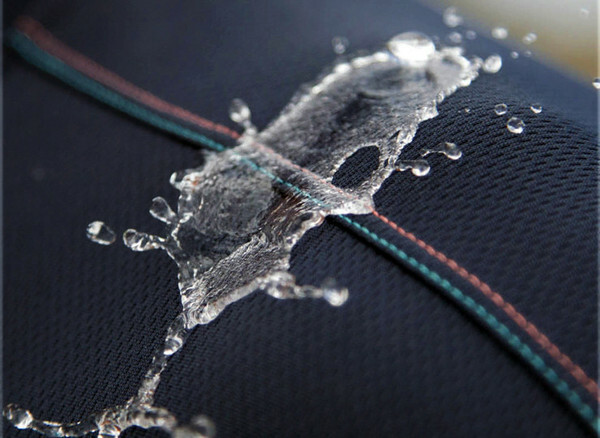 You need a shirt that will dry out fast, protect you from the sun, and that breathes. That takes technology and ingenuity. The Kanaha shirt is all that and a bag of tricks. Did the shirt make me fall in? That’s the question I’m asking myself. Both times that I wore it I fell in during a flatwater paddle. That does not normally happen. I am thinking that the shirt cosmically made me fall in so that I could wax poetic about its water-repelling capacity. Otherwise, how was I to have the full experience? The first day I was out with it, it was cold, slightly drizzly, and generally gross out. The temperature was probably around 55 degrees with coolish wind blowing off the ocean through the Masonboro Inlet. I fell in at the south side of Money Island and was completely submerged. Once I climbed out, about 5 minutes later, the shirt was dry. How thankful was I for my shirt when it was cold out? My friend Sandy did not have a hydrophobic shirt, and she was really cold for the rest of the 2 miles we had left. The second day I wore it for a 9.5 mile paddle on a sunny, warm-ish, windy day last weekend. I was worried about getting too hot, and almost didn’t wear it. I’m glad I did! The temperature was about 60-65 degrees. Heading into the wind, I was glad to have the extra layer on. With the wind at my back, the mesh was enough to keep me vented and cool. Once we got down closer to the inlet and the ocean, I appreciated the shirt to keep the cool ocean breezes off of me. Then I fell in, and was glad that it dried out quickly, again. As mentioned before, the flat seams are fantastic. I also like the color, and the fit. It isn’t too short or weirdly shaped. I always wear a camelbak, and keep my snacks and keys and stuff in there. HOWEVER I think I might start keeping my key in the zip pocket on the back of this shirt because I am always afraid the velcro on my camelbak might come open and I’ll lose my keys. There’s a laynard/hook in the zip pocket for a key. You could also put some chomps in there for a snack. I’d be surprised if you don’t love it. What about others who have this shirt? Do you love it? Next articleMeet the Alderman family. Don, Jenny, Dylan and Jack.